Those who can, do. Those dedicated and enthusiastic individuals who can do more, volunteer! Join the Alaska SeaLife Center family as a volunteer. As a non-profit organization, the Alaska SeaLife Center relies on our active volunteer staff to fulfill our mission year-round. We are now accepting applications for 2019 Summer RV Volunteers!!!! Open until filled. Please feel free to contact our volunteer coordinator at volunteercoordinator@alaskasealife.org with any questions about our volunteer program. "This was an awesome experience. I made many new friends and learned much more about birds and their ecosystems." "I was very impressed by all the opportunities I was given to learn and participate." 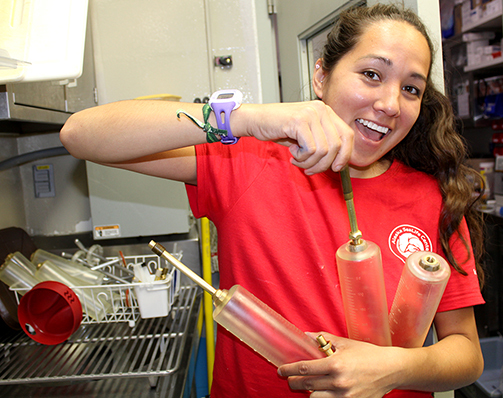 "ASLC is a great place to get marine animal exposure and learn about the marine field." "It was a wonderful experience, the people are great!" "I had a fabulous time working at ASLC!" All volunteer positions may include performing other duties related to the Center's goals and mission statement.